Let’s start with what Escape Zombie City is not. It is not Escape The Cursed Temple with a zombie theme. What it is, is a real-time, cooperative game, the timer for the game is a soundtrack. But this game plays in 15 min. 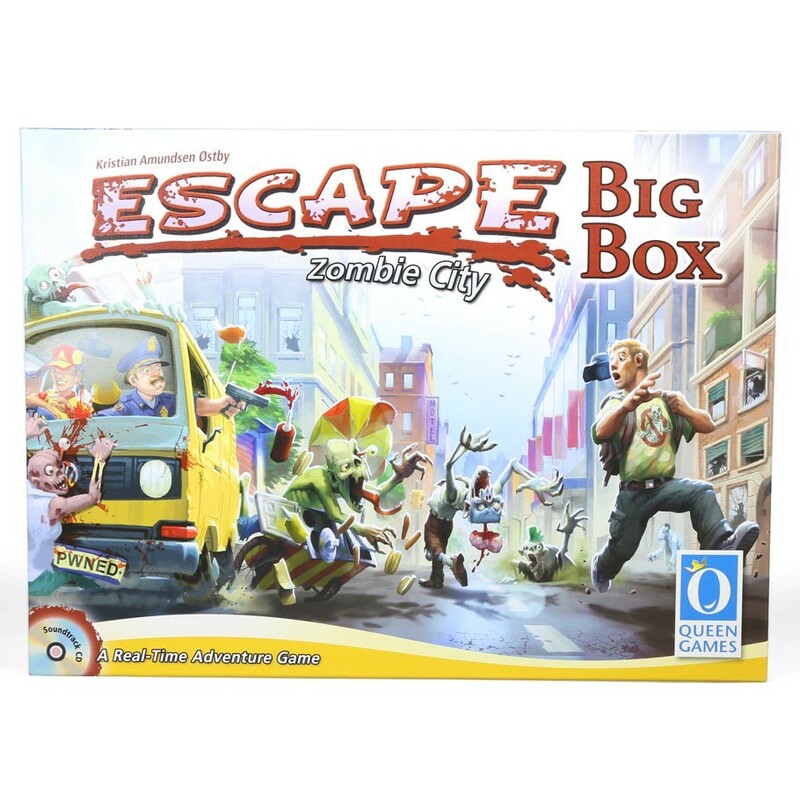 and there are two phases to the game: collection of goods, spawning and fighting of zombies and than in the second phase of the game a cooperative escape from the city in a van loaded up with the collected goods fighting more zombies along the way.